Happy New Year’s Eve! Can you believe 2014 is ending already? It’s been a whirlwind year for me with a lot of good times and some not so good times. I’m looking forward to 2015 and having a great year. To celebrate New Year’s Eve I’m making two signature cocktails. 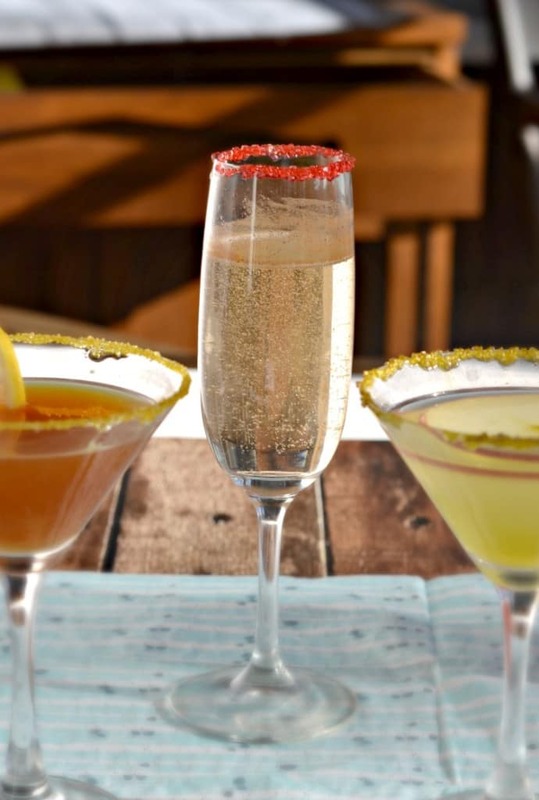 Yesterday I shared my Lemon Ginger Tea Martini and today I’m sharing a Champagne Cocktail. We have been on a bit of a champagne kick so I’m sure I’ll have a glass or two of plain champagne but it’s fun to have a champagne cocktail when you’re celebrating. 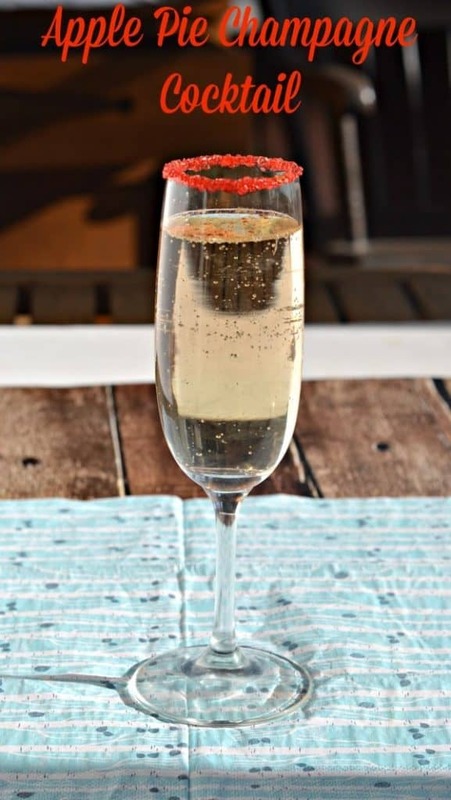 Last year I celebrated with a Pomegranate Orange Champagne Cocktail. 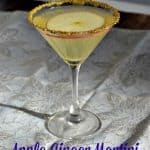 This year I’ll be celebrating with an Apple Pie Champagne Cocktail. 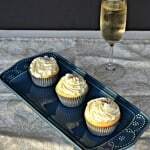 This is a super easy recipe which makes it perfect for serving at a party. I simple mixed together equal parts of apple pie vodka and orange liqueur, poured them into a glass, and filled it with champagne. 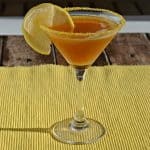 I added a pinch of cinnamon on top and I did rim the glass with red sugar, but the cocktail would be delicious without it as well. I like this cocktail a lot because it isn’t very sweet. I find cocktails to often be really sweet which isn’t for me. This one just adds a lot of apple and cinnamon flavor making it taste like you are drinking a spiced apple pie. It’s delicious and it’s pretty too! Apple pie vodka and orange liqueur turn this champagne into a fun and delicious cocktail! Pour red sugar into a shallow dish. Lightly rim a champagne glass with honey. 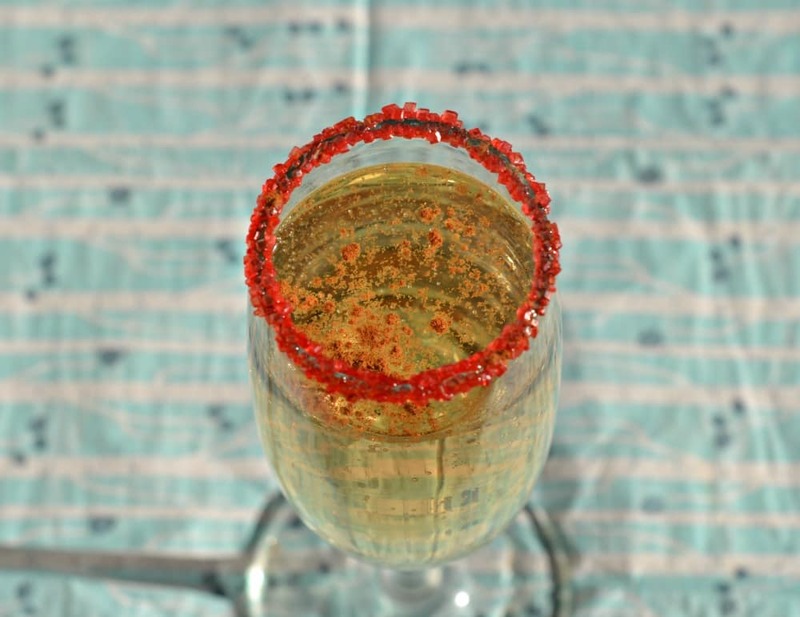 Dip the rim of the champagne glass into the red sugar. Set aside. Pour the apple pie vodka and orange liqueur into a cocktail shaker with ice. Shake vigorously for 30 second. 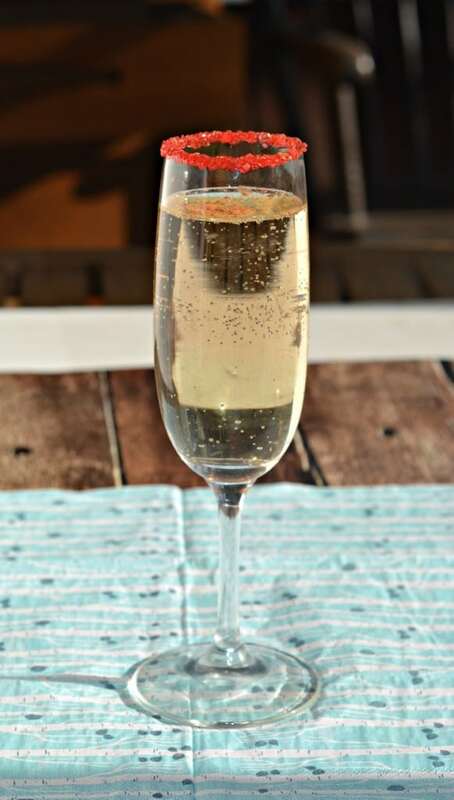 Strain the liquid into the prepared champagne glass. Fill the glass with champagne. Add a pinch of cinnamon and enjoy!! I hope you have a wonderful end to 2014 and a happy, healthy 2015!